Lytham St Annes Art Society. The purpose of this website is to provide information on activities to its over 300 members, and information to the public on what’s on regarding the society’s art exhibitions and events. 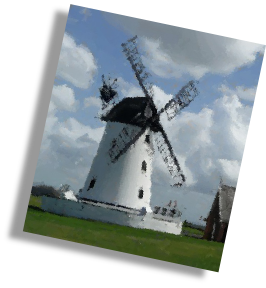 Our members are a group of people living on and around England’s South Fylde Coast with an interest in arts and crafts. We have regular meetings and activities in our specially designed studio, which include workshops, exhibitions, lectures, visits and social events. The success of our thriving society is attributed to the talent, and to the voluntary hard work, of its dedicated membership. LSAAS is located in “The Studio” on Haven Road, Lytham, FY8 5EG opposite Booth’s supermarket. The town of Lytham St Annes is just south of the resort of Blackpool. As well as having exhibitions in “The Studio”, main exhibitions are held in the Fylde Gallery, and in Lytham Heritage Centre. We also have an annual craft fair. Our society is a registered charity dedicated to art in the community, and is governed by the Charity Commission.